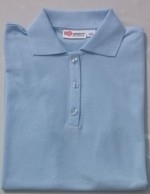 Tan Through Polo shirt to wear on those real sunny days to get that golden, must have it- suntan. SKU: 50.1005. Category: Tan Through Polo Shirts.